The quality and the look of the wig it's terrible and poor!! I spend my money and now I can not used, because it looks like an old wig, but surprise it just bought it and received today!!! I can not recommend it, so beware. Looks like a dead animal!! 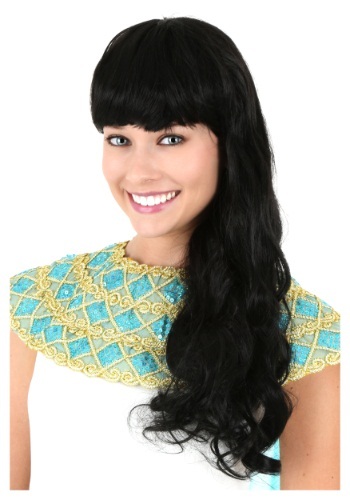 Product picture depicts a wig with straight hair a little longer than shoulder-length. What arrived in the package was a wig with wavy hair that was long - about to mid-back. Will be returning. It doesn't look like on the picture. It is shorter and somehow bushy. The bangs are coming too low. Even if you try to brush it, it doesn't really improve the way it looks.I guess it was acceptable, but not really good. It is not straight and sleek. I was rather disappointed.